Klusster is a publication platform that enables a PEER GROUP of businesses ( 2 or More) the ability to quickly create a QUALITY BRANDED publication and consistently generate more online visibility. Why would I create a Publication? By combining forces with a few incredible local PEER businesses, you combine your social media audience. No longer will you be the only one responsible for driving traffic to your messages. If 3 business each have 700 followers on social media, and their combine these followers, your group now can reach 2,100. A 300% improvement for each PEER. Imagine 10 businesses working together? Putting up content into a publication can help validate the strength of your online presence and will improve your SEO results, provided you have a strong foundation of content on your website. 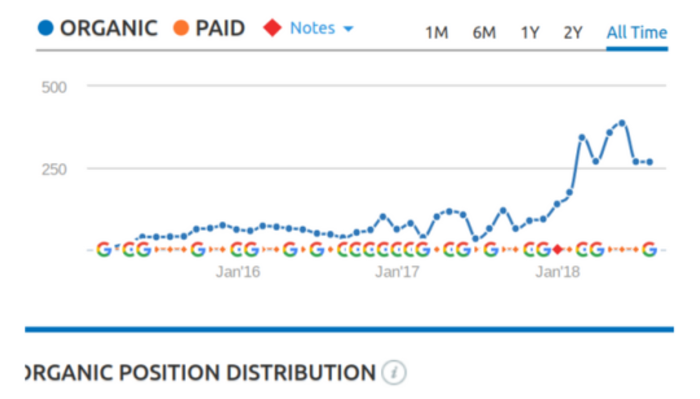 Notice, how their ORGANIC SEARCH improved when they decided to join forces in a PEER publication and be part of a community working together to drive traffic to a GROUP destination. Before January 2018: Average 75 monthly organic search leads. This business made no other changes to their online marketing. The simple fact is the more relevant people you connect with, the greater your chances of engagement. By taking the time to create quality messages, people will relate. People will engage. 1. Assemble a group of 2 or more community PEER businesses. 4. Each business commit to share the content and publication regularly. 5. Don't Worry. 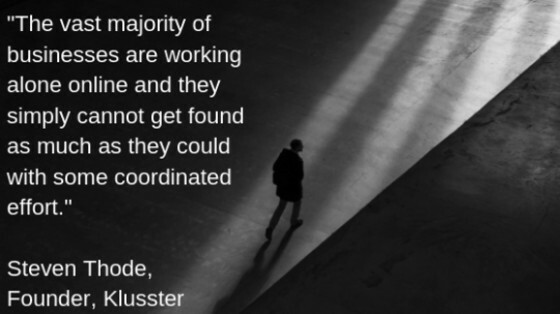 Klusster will make it easy for you to be consistent. Contact us and we will set you up through our FREE webinar program.